We understand that from time to time people fall into financial difficulties and may struggle to keep up with their rent payments and other bills. CVCH adopt a firm but fair approach for the non-payment of rent and will always offer full advice and support if you fall into financial difficulties. Payment of rent and service charges are a priority. 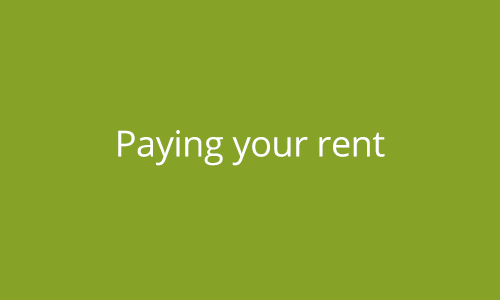 Although other bills are important, paying your rent on time should be a priority. You won’t lose your home if you delay paying your other debts however your home is at risk if you do not keep up with rent payments. This is because you have signed a tenancy agreement where you have agreed to pay your rent on time and in advance. If you fall into rent arrears and you fail to pay the full amount that you owe we will serve you with a Notice of Seeking Possession, this is the first step we take in legal proceedings to take back possession of your property. What do I do if I receive a Notice of Seeking Possession (NSP)? If you receive an NSP, then it is important you contact a member of the Incomes and Customer 1st Team immediately to discuss the reasons you have fallen into arrears and to agree a way forward that will avoid CVCH applying to the County Court for a Possession Order. Can I get help with my rental payments? If you are on a low income you may be able to claim some benefits to increase your income, this maybe via Housing Benefit or Universal Credit. 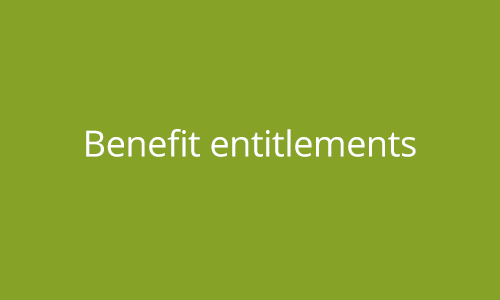 Here is the link to a benefit and budgeting calculator that compares your entitlement for both benefit systems. If you are in debt, regardless of what the debt is for, we may be able to help you. As a landlord we know it is important for our tenants to have access to professional money advice. CVCH contract Spitfire Services (Spitfire House, 10 High Street, Castle Vale) to provide independent money advice, Spitfire offer a number of services such as budgeting support, benefit health checks, crisis support and help understanding letters and completing online forms. For more information please either contact our friendly Customer 1st Team on 0121 748 8100 or visit Spitfire Services website. Is family life difficult and this is impacting on your ability to manage your finances? Did you know that you can receive tailored support through our Think Family and Independent Living Support Services to empower you to create positive solutions? We also provide an Employment Support Service to provide active and practical help to enable you to take positive steps towards employment. Copyright © 2019 Castle Vale Community Housing. All rights reserved.